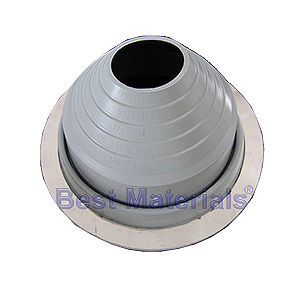 PRODUCT: #4 Round Base EPDM Pipe Flashing in SPECIAL COLOR. 9-1/2 inch diameter base, with 2.3 inch Open Top. Fits 3 to 6-1/4 inch Pipes. Price/Each.